As a Canadian-Italian author who wrote Daughter of Mine, a book set in Italy, I am really looking forward to this challenge--reading books set in Italy! This challenge is being hosted by Silvia at Book After Book. 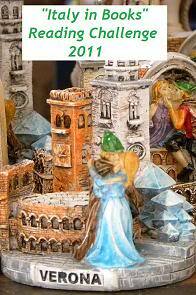 The aim of the challenge is to read at least 12 books that are set in Italy. Whether written by Italian authors or not, it doesn’t matter. They don’t have to be set exclusively in Italy but this country needs to play a significant role in the book. The challenge can include non-fiction books about Italy. You can also review Italian learning books but this is limited to a maximum of two titles.